To help mark World Consumer Day (March 15th), the European Consumer Centres Network (ECC-Net) has launched its report, ‘The impact of counterfeiting on online consumer rights in Europe’. 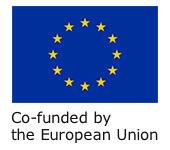 The new report examines how counterfeiting affects EU consumers when they shop online. This includes the risk to the consumer, how to recognise fake products online and avoid buying them, your consumer rights and what to do if you accidentally buy counterfeit products. The report also features examples from consumers throughout the EU and what initiatives are in place to inform consumers about counterfeit goods. Some 562 cases regarding counterfeit goods were reported to the ECC-Net from March to August 2016. Counterfeit goods can be found in various consumer product lines – from medicine, cosmetics to children’s toys and automobile parts. The rise in popularity of ecommerce and cross-border online shopping has meant that it’s easier than ever for consumers to purchase counterfeit goods, and in some cases leaving them exposed to increased health and even customs penalties. Buying counterfeit goods online. What are the risks? The quality of counterfeit products is not guaranteed. They may pose safety or health risks to consumers. Toys, medicine and cosmetics may contain harmful ingredients. Customs may intercept and destroy packages containing counterfeit goods. As a consequence, consumers don’t receive the order they paid for. Right holders may bill the costs related to the destruction of the fake goods. Who can you turn to when your counterfeit products become defective? Traders who sell fake goods do not usually respect your guarantee rights. 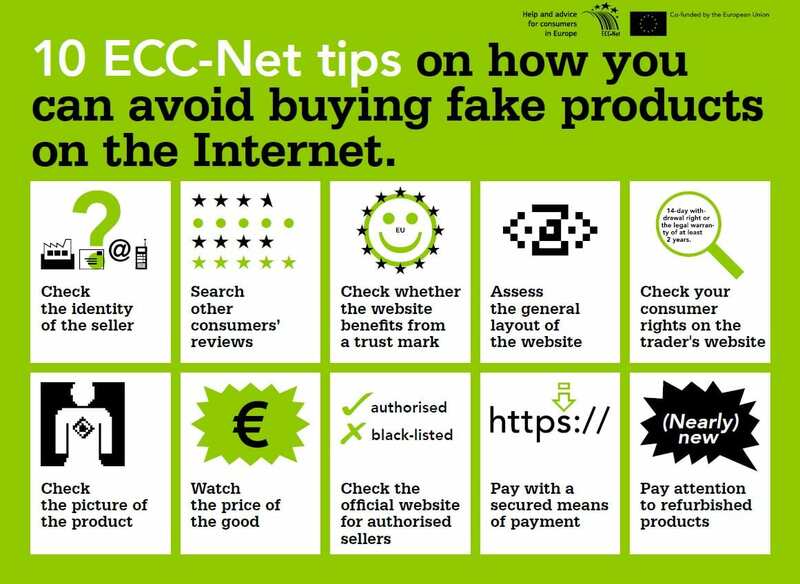 A brochure of the ’10 ECC-Net tips on how you can avoid buying fake products on the internet’ explains each tip in greater details and is available for download. Contact the seller in writing. Explain that your order has been confiscated by customs, that you don’t wish for a replacement product but want a reimbursement of the total price. If you paid by card you may contact heck your bank or card issuer to see if you are eligible for reimbursement through chargeback. If you suspect fraud, report the necessary information to the Garda National Economic Crime Bureau. Contact the official brand and inform them of the counterfeit products. As the brand holds the patent rights it may investigate such fraudulent sites.